Duplex revolutionary, fully digital 2.4GHz, frequency hopping radio system is fully designed and manufactured by Jeti Model in the Czech Republic. 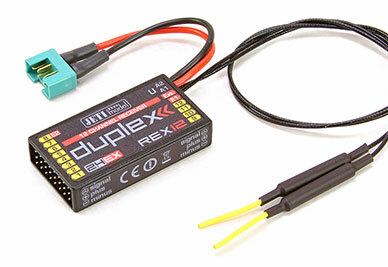 We are excited to introduce two brand new lines of REX and REX Assist Jeti Duplex 2.4GHz Receivers with built-in revolutionary features: Internal Data Telemetry Logging (Black Box), Integrated Multi (3) Input/Output Telemetry & EX Bus Expander, and New 32 Bit Microprocessors (No limits for Future Firmware Upgrades). All Jeti receiver features wirelessly programmable failsafe and integrated digital telemetry (Rx Voltage, Signal Quality). New Jeti REX line of programmable receivers has been developed to take full advantage of multi-port (Ext, E1, E2), multi communication protocol (EX Bus, UDI 12/16, PPM) configuration and fully implement Duplex EX Bus (Device Manager) or third party devices that use EX Bus for telemetry and programming integration. 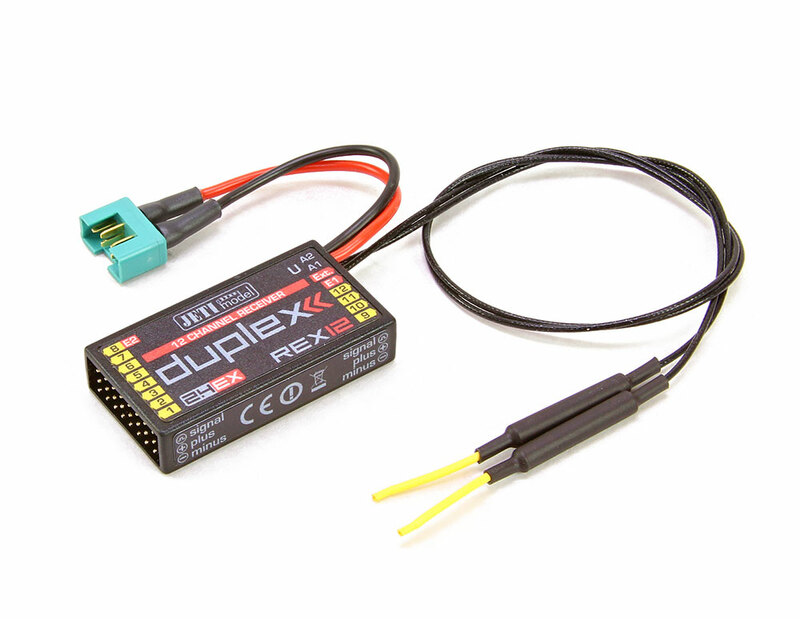 With any of the Duplex 2.4GHz receiver you can simultaneously monitor all of your sensor data using the Duplex JetiBox Profi or any of the Jeti 2.4GHz Transmitters.